Operation Requirements for next generation multi-technology networks are the key topic that brought 3GPP, NGMN and TM Forum together for a workshop held March 29-30 2010 in Bonn. The two-day workshop was attended by forty industry experts who worked on use cases and requirements in three parallel work streams and provided recommendations for next steps. The ongoing 3GPP-TMF alignment program provides an excellent opportunity to address network management of Wireless-Wireline convergence based on the 3GPP IRP framework. "This workshop has identified important requirements and allowed TMF and 3GPP to compare their solutions that can satisfy Operators requirements, of whom many are already supported in 3GPP specifications. I am confident that, as long as the representation from each group is maintained at the right level, an alignment of the 3GPP and TM Forum specifications will result from this cooperation, satisfying the requirements for use in convergent network operational environment." Christian Toche identified that the next step includes the need for the two ongoing Network Management harmonization projects with the TM Forum - On FM and resource modelling - to be completed. 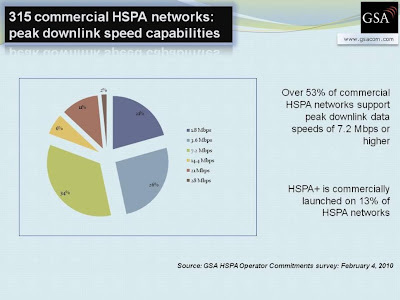 New presentation from Stephen Hayes, Chair 3GPP-SA available on the 3GPP website. Click here. Ericsson, the world's largest wireless infrastructure vendor, is looking to gain more expertise is the area, and this week signed an MoU to create a strategic cooperation with Datang Telecom in China to develop TDD solutions and likely gain a foothold in China Mobile's planned TD-LTE network. As part of the deal, Ericsson will begin integrating Datang's TD-SCDMA radio access network equipment into its own 3G offering. TD-SCDMA is China's homegrown 3G standard that China Mobile and others are using. TD-LTE is seen as the next generation of TD-SCDMA. 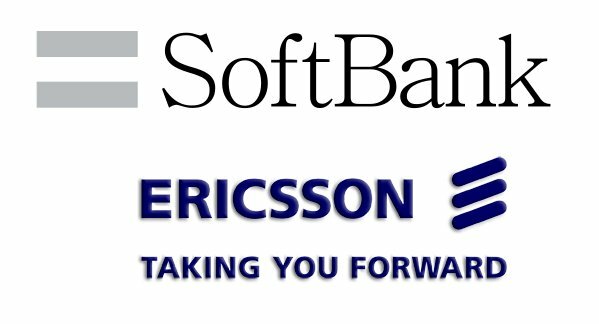 Japanese cellco Softbank Mobile is considering deploying the Chinese-developed TD-LTE standard as a 4G network. Senior executive vice president Ted Matsumoto told telecomasia.net the company could deploy it in the 2.5GHz spectrum it gained access to when it bought a stake in failing PHS operator Willcom last month. But he said Willcom’s next-gen PHS technology, XGP, and mobile Wimax were also under consideration. “We’re going to have 2.5GHz TDD spectrum, so we will seriously explore TD-LTE,” he said. Softbank is also focused on winning access to the key 700MHz or 900MHz frequencies, the “golden spectrum” with a much higher propagation range already that is used by both of its competitors. Japan’s Ministry of Internal Affairs & Communications plans to allocate 40MHz of spectrum in the 700/900MHz ranges for LTE and is now conducting a review. 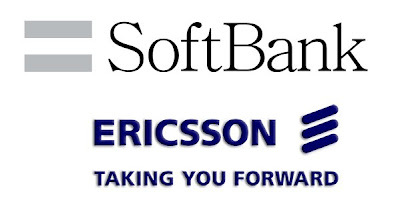 For the time being, Softbank has put LTE plans on the backburner in favor of HSPA+. It shut down its 2G network last month and is looking to reap the cost benefits of running a single 3G/3.5G network with up to 42Mbps download speeds. All of which led to it being no surprise that research from Nectar Business is headlined 'Workaholic Brits just can't switch off', according to the release. Far from saving us time and bringing quality back to our lives, Nectar - the loyalty card people - have found that we're working on average an extra 10 days a year. 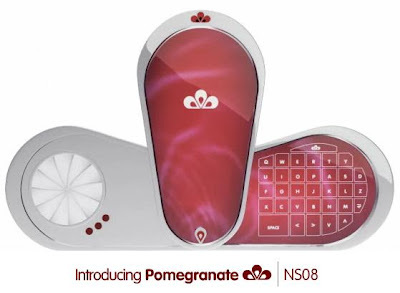 60 per cent - get this - now say they prefer to communicate by mail than face to face. That's a lot of figures. However, some of the findings were positive - 71 per cent of people found email the best way to keep colleagues informed and 28 per cent thought it a useful tool for delegating. But that still leaves a quarter of respondents stressed. First it was Nokia that started giving away the Satnav software for free. Now Google is offering free Satnav software for Android phones in UK. Its already been available in US for quite some time and the response is generally positive. According to comScore, the use cellphones for Satellite Navigation is becoming more common in Europe. According to them, in February, 21.1 million consumers in five large European markets -- Britain, France, Germany, Spain and Italy -- used their cellphones for navigation, 68 percent more than a year ago. This compares to 20.4 million personal navigation devices sold in those markets in 2008 and 2009 in total, according to research firm GfK. I talked about Satellite based Internet before but today we will focus on satellite based GPS systems. The GPS system, which was developed way back in 1989 for and by the military has been used by general public since the year 2000. Its has become very common in the last few years. Satellite navigation systems take their location cues from 30 GPS satellites that circle the Earth twice a day transmitting status, date and time, and orbital information. Soon there will be around 100 satellites to lock on to as GPS is joined by global constellations from Europe (Galileo), Russia (GLONASS), and China (Compass). GPS wasn't built to help us find our way to the shops - it was a Cold War project funded by the US Department of Defense to ensure that nuclear submarines could surface and target their missiles accurately. 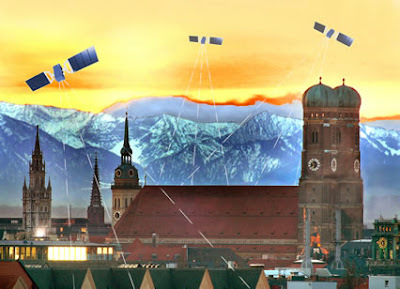 There are strategic rumblings about the new satellite constellations too, but the current consensus is that civilians have most to gain from more accurate and reliable location and tracking applications. That's if receiver designers can get the power consumption under control. Russia's GLONASS system used to be famous for its satellites failing faster than they were launched, but since last month it has had 24 functioning satellites in orbit. Meanwhile, Europe's much-delayed Galileo system will have 14 satellites operating by 2014, according to the European Commission, with the full 30 available by 2017. The US GPS system is being modernised to become GPS III by 2013, with additional navigation signals for both civilian and military use. Information about China's Compass system is sketchier - it was going to be a regional system but is now understood to be global. 'All this activity is great news because whatever the application, there will potentially be multiple constellations to get a position fix from, which will help with signal integrity in safety-critical environments such as maritime, aviation or rail, and accuracy for mobile phone users in urban areas,' says Andrew Sage, director of Helios, a consultancy specialising in satellite navigation. A GPS receiver should be able to 'see' at least four GPS satellites anytime, anywhere on the globe and establish three position coordinates (latitude, longitude, and altitude). 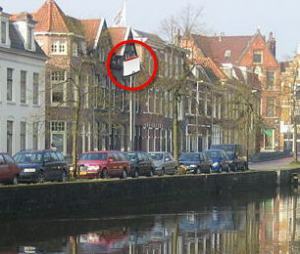 But in city streets hemmed in by tall buildings, a receiver is unlikely to be able detect more than two satellites and the signals will often have bounced off structures. The more satellites visible from within these 'urban canyons', the easier it is to carry out consistency checks on the received signals. 'Even when you can't isolate the multipath-contaminated signals, the more signals you have, the more your errors average out,' says Dr Paul Groves, lecturer in global navigation satellite systems (GNSS), navigation and location technology at UCL. Better GNSS integrity would enable new applications, such as road-user charging, enforcing bail conditions and pay-as-you-drive insurance. 'Clearly, if position information might be used as legal evidence, it has to be reliable,' says Groves. The delayed arrival of Galileo and the resurrection of GLONASS have complicated matters for receiver makers. Galileo was designed to offer the simplest possible upgrade path from GPS to a dual-constellation system. Agreements were made to put the carrier frequencies of the main open services in the same part of the spectrum as GPS, at around 1575MHz, so receivers could share the same radio, analogue components and antenna. Both systems also send their signals using a spread-spectrum code-division multiple-access (CDMA) approach. GLONASS uses a frequency-division multiple-access coding technique (FDMA) and a main open-service carrier frequency of 1602.2MHz. The complete IET Magazine article can be read here. 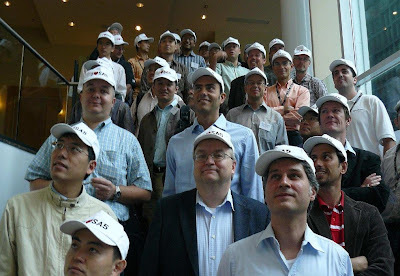 There is another interesting article titled 'GPS, GLONASS, Galileo, Compass: What GNSS Race? What Competition' here. Interesting analysis. Femtocells are not really becoming Picocells but when you read about the new features coming up in Femtocells, you can imagine why operators are embracing Femtocells. A typical Picocell, offers limited coverage but the same capacity as a macro-cell and can cost between £5000 to £10000. A Femtocell overs very limited coverage and very few users but its dirt cheap. What if a compromise Femtocell is made that can solve both the coverage/capacity and price then its a win win situation for everyone. This is where "Metro Femtocells" come into picture. They can be called by different names but lets stick to Metro Femtos. Ubiquisys's press release about the Colo-Node HSPA Femtocell shows us the direction in which the device manufacturers are moving. It allows 16 users (as opposed to 4) and the range of 2km (as opposed to couple 100 metres). Picochip has already released a chip that can serve 32 users at 2km range. These femto's are Release-7 compliant with 42Mbps peak dl and and 11Mbps peak ul. The good thing is that they may be soon used to fill the coverage black holes but that can also mean that the operators may stop putting lot of effort in Network optimisations. The ubiquisys Colo-Node HSPA will be available end of July this year. Ubiquisys has also demonstrated a wide area femtocell with 12 sq. km range. I wonder where they will be used. LTE wont be coming to Taiwan until 2017. In fact, I am hoping that LTE-A would be available by then and Taiwan can skip LTE completely. Taiwan is pushing WiMAX as a lot of small manufacturers based in Taiwan jumped in the WiMAX bandwagon at its peak. The main advantage with WiMAX being that there is no legacy GSM/UMTS baggage so the things are relatively simple. Having said that, this is also the main reason operators have not embraced the WiMAX technology. I’ve been to a number of Wimax conferences in the past few years, but this year’s Wimax Forum Asia show in Taipei marks the first time I could walk out of the conference hall and see a demo of Wimax in action. As Telecom Asia reported last month, Vmax has launched a Wimax service in the capital, offering connectivity to 1,000 taxis. I managed to catch one of them. The Wimax set-up featured a GPS-enabled touchscreen MID mounted on the back of the front passenger seat. Among other things, I could access a real-time navigation app that also displayed our driving speed, and – of course – streaming music videos. The video was the real test, and it was YouTube quality – which is to say, acceptable – for the entire 15-minute trip. If Vmax chief Teddy Huang is right about the service yielding “much more” than NT$500-NT$600 in ARPU per user, it’s not a bad testament to Wimax’s potential to carve out these kind of B2B niche services. Or to allow users to come up with their own solutions. Another taxi I rode in had a mounted laptop next to the driver that was running GoogleMaps whilst playing a live local TV channel with good video quality. Video Calling: Boon or Bane? When 3G was launched, the operators were clueless as to what 3G can do. The only way according to them to sell 3G was to to market 'Video calling'. 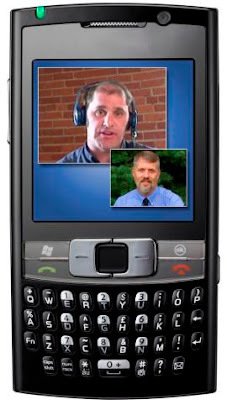 I am not sure how many of you have used Video calling, but I love it. Shame that the operators have priced it so ridiculously that I only used it when I had them inclusive in my package. Otherwise paying £0.50 per min seems exorbitant to me. We have so many other options like Google Chat with Video and Skype Video chat available which is very convenient (and far much cheaper) according to me. Skype client is available on mobiles but still Video is not included. Its just matter of time before Video calling is included part of the VoIP client. All handset manufacturers are scared to include the feature so as to avoid the ire of operators. Maybe we will have to leave it to iPhone again to break this barrier as well. The TD-SCDMA and Long Term Evolution (TD-LTE) network will be massively deployed in China, the world's largest telecommunications country by number of telecoms users, in 2010, globally premier international market research and consulting firm Infonetics Research said in a forecast report. More and more mobile carriers have started developing the LTE, including Verizon Communications Inc., China Mobile Ltd., and China Telecom Corporation Ltd., Infonetics noted. There will be no more than twenty LTE networks in the world at the end of 2010. China Mobile Communications, the largest mobile telecom carrier in China, will establish three experimental TD-LTE (time division-long term evolution) networks separately in three coastal cities - Qingdao, Xiamen and Zhuhai - beginning the third quarter of 2010, according to the China-based China Business News Daily. China's Ministry of Industry and Information Technology (MIIT), the carrier, handset and component makers, and handset solution suppliers in China in late 2008 began to cooperate for the development of TD-LTE in three phases, the report said. The first-phase trial of technological concepts completed in June 2009, and the ongoing R&D and experiments in the second phase will be finished at the end of June 2010, the report indicated, adding the third phase will begin with China Mobile setting up three trial networks in the third quarter. China Mobile Communications, the largest mobile telecom carrier in China, on April 15 inaugurated its first experimental TD-LTE network at the site of the 2010 Shanghai World Expo. The trial network consists of 17 outdoor TD-LTE base stations made by Huawei Technologies completely covering the 5.28km square site and will be used to provide mobile high-definition multimedia services. ZTE and Datang Mobile Communications Equipment as well as Motorola and Alcatel-Lucent have also set up TD-LTE access points inside a number of pavilions. Motorola, Inc.'s Networks business has already announced in February that it has successfully deployed a TD-LTE network at the Expo Center for World Expo 2010 Shanghai China, and completed the first indoor over-the-air (OTA) TD-LTE data sessions at the site. These advancements demonstrate another milestone of collaborative industry efforts on TD-LTE commercialization, reaffirming Motorola's commitment to address the future needs of TDD spectrum operators in China and around the world. 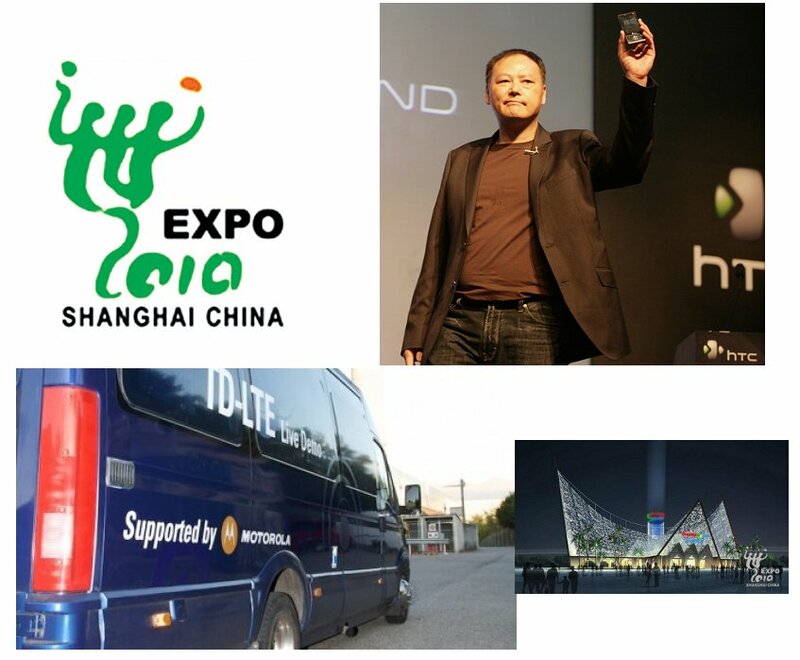 Motorola, Inc.'s Networks business announced on April 16th that it showcased an end-to-end TD-LTE demonstration via the world's first TD-LTE USB dongle at the Shanghai Expo site to support the "TD-LTE Showcase Network Opening Ceremony" hosted in Shanghai on April 15. Delegates at the ceremony experienced applications that run over a TD-LTE network via USB dongles, including high-definition video wall (simultaneous 24 video streams), remote monitoring and high-speed Internet browsing applications. This latest advancement demonstrates a major milestone of the collaborative industry efforts in building a healthy TD-LTE device ecosystem, reaffirming Motorola's commitment to TDD spectrum operators around the world. Motorola, a leading provider of TD-LTE technology, and China Mobile share the same commitment to accelerating TD-LTE commercialization and globalization. "We are very excited to support China Mobile in bringing the world's first TD-LTE USB dongle demonstration enabled by our TD-LTE system," said Dr. Mohammad Akhtar, corporate vice president and general manager, Motorola Networks business in Asia Pacific. "A healthy devices ecosystem has always been critical to the development, commercialization and success of wireless network technologies. We are working closely with partners to drive this ecosystem as demonstrated by the advancement announced today. TD-LTE is now a commercial reality and we are very pleased to see that industry players are joining forces to accelerate TD-LTE globalization." Interest in TD-LTE continues to grow because of several key factors: the low cost of TDD spectrum that is particularly attractive to emerging and developing markets; operators' continuing need for more capacity and spectrum; and the ability to hand-off between TD-LTE and LTE FDD networks. In effect, this ability to roam between LTE FDD and TD-LTE means operators can use TD-LTE networks to augment their FDD LTE network for more capacity or other applications such as video broadcasting, while operators choosing to use TD-LTE as their "main" network can still offer their subscribers the ability to roam to other operators' FDD LTE networks in different countries. Motorola is one of the few vendors in the industry that has expertise in, and is committed to investing in both FDD-LTE and TD-LTE, as well as WiMAX. By leveraging its orthogonal frequency division multiplexing (OFDM) expertise and WiMAX legacy, Motorola has built up its leadership position in TD-LTE with a number of industry-firsts. Nokia Siemens Networks has inaugurated a TD-LTE Open Lab at its Chinese Hangzhou R&D facility. TD-LTE smartphone and terminal manufacturers will be able to use the lab to test the interoperability and functionality of their devices across TD-LTE networks. "The development of terminals and devices has always been a bottleneck in the roll-out of new mobile technology," said Mr. Sha Yuejia, vice president of China Mobile. "We are thus more than happy to see that Nokia Siemens Networks has established a cutting-edge terminal testing environment, an initiative that we support wholeheartedly. After all, a healthy ecosystem needs efforts from all stakeholders." Nokia Siemens Networks' Open Lab will provide an end-to-end testing environment for verifying the compatibility of terminals and devices with the company's TD-LTE network products and solutions. The lab will also provide consultancy and testing services to device manufacturers. Nokia Siemens Networks' TD-LTE R&D center in Hangzhou is fully integrated into the company's global network of LTE Centers of Competence. Providing a live TD-LTE experience to operators in the region, Nokia Siemens Networks also recently kicked off a nationwide TD-LTE road show in China. Beginning in Beijing, the road show will cover more than ten provinces in three months, demonstrating the most advanced TD-LTE technology and applications. In India, Even as the government hopes to raise around $9 billion from the 3G and BWA auctions, foreign telcos waiting in the wings are eager to unfurl a new technology — TD-LTE —which is akin to 4G technology. US-based Qualcomm and Sweden's Ericcson aim to piggyback on TD-LTE, hoping that it will help them gain a toe-hold in India, the world's fastest growing mobile market. Qualcomm is to participate in the broadband wireless access (BWA) spectrum auction. If it does secure its bid in the auction, India could well become the first country after China to roll out TD-LTE. TD-LTE, or Time Division Long Term Evolution, caters to peak download speeds of 100 Mbps on mobile phones, compared to the 20 Mbps for 3G and 40 Mbps for Wimax. LTE brings to the table additional spectrum, more capacity, lower cost, and is essential to take mobile broadband to the mass market. The government has slotted the sale of two 2.3 GHz blocks of spectrum on April 11, providing 20 MHz spectrum in each of the country's 22 telecom circles. The base price has been set at $ 385 million. However, Qualcomm will need an Indian partner for its TD-LTE foray in the country since foreign direct investment is limited to 74%. The US telco aims to use the 2.3 GHz spectrum band offered for TD-LTE-based BWA services. Sources in the know told TOI that the company would bid aggressively to corner one of the two BWA slots up for sale. There are 11 bidders for the BWA auction. Asked to comment on the market dynamics, Sandeep Ladda, executive director, PricewaterhouseCoopers (PWC), said: "Though the Indian market is huge, it won't be smooth sailing post auction. We are adding 1 crore customers a month and in January, we added 1.9 crore customers, but the implementation of the new technology has its own cost. And India is a very cost conscious market." Eager to play by the rules in India, Qualcomm has notified that it would enter into a joint venture with an Indian partner to launch its services and later exit from the joint venture after the network becomes operable. Meanwhile, The WiMAX Forum has gone on the defensive during the WiMAX Forum Congress Asia in Taipei, Taiwan. The group is speeding up its time table to deliver the next generation of WiMAX--a reaction to heavy data use among WiMAX subscribers as well as the looming threat posed by Qualcomm and Ericsson's lobbying for TD-LTE in India. Recently, the forum launched a global initiative to accelerate advanced WiMAX features that would double peak data rates and increase average and cell edge end user performance by 50 percent. Mo Shakouri, vice president with the WiMAX Forum, said enhancements to the current generation of WiMAX weren't on the forum's roadmap, but were brought to the forefront at the urging of several WiMAX operators already facing capacity crunches. The forum reports that the average usage of data on WiMAX networks is close to 10 GB. Clearwire recently reported that mobile users average more than 7 GB of usage per month. In Russia, mobile WiMAX operator Yota sees more than 1 GB per month in data traffic from subscribers using its HTC smartphone. For laptops, it's 13 GB per month. "Demand for data is moving so fast that we were pushed by many people to add this functionality," Shakouri said. The WiMAX Forum has also been prodded to announce more detailed plans for 802.16m, and step up the timeline for its development via a new group called the WiMAX 2 Collaboration Initiative, which is made up of vendors Samsung, Alvarion, Motorola, ZTE, Sequans, Beceem, GCT Semiconductor and XRONet. The companies will work in tandem with the WiMAX Forum and WiMAX operators to accelerate the next-generation standard. WiMAX 2, the marketing name for the 802.16m standard, is expected to expand capacity to 300 Mbps peak rates via advances in antennas, channel stacking and frequency re-use. The forum previously forecast 802.16m would hit in 2012 or 2013. But increasing demands for data--coupled with Qualcomm and Ericsson urging Indian mobile broadband license bidders to go with TD-LTE--motivated the forum to put some stakes in the ground and declare that WiMAX 2 equipment will meet certification by the end of 2011. "There has been a lot of noise about TD-LTE, and the WiMAX Forum had not specifically given dates regarding timelines for 802.16m," Shakouri said. "Basically our announcement around 802.16m came about because of the noise in India." The formation of the WiMAX 2 Collaboration Initiative is a marked change from the way the first generation of WiMAX was developed. 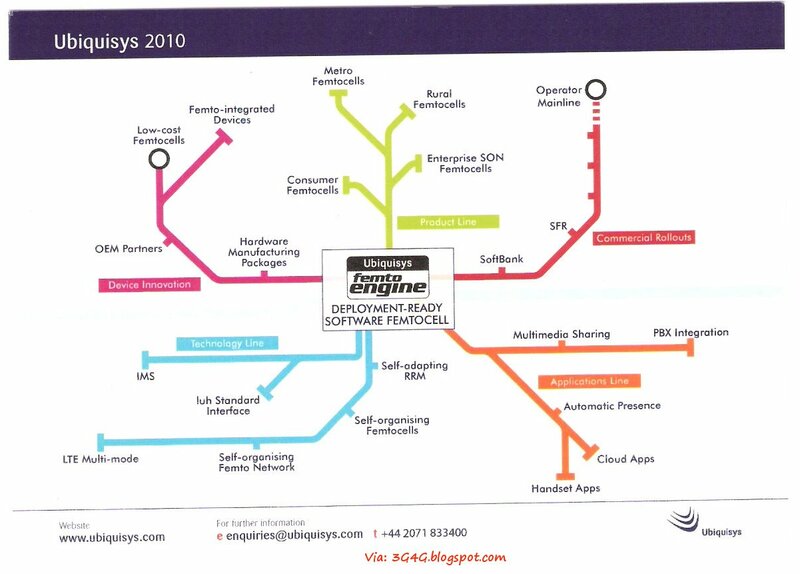 Sprint Nextel was the entity driving the majority of the standards work as it was eager to get to market and begin building an ecosystem. Vendors are now taking the lead and driving equipment readiness before the 802.16m standard is finalized by the end of this year. Shakouri said the standard is 95 percent finished. "Those companies are going to take a more active role inside the forum," Shakouri said. "They have all come together to speed up the process." The group of vendors plans to collaborate on interoperability testing, performance benchmarking and application development before the WiMAX Forum establishes its certification program to narrow the gap between the finalized standard and commercial rollouts. So how much of a threat is TD-LTE to WiMAX? Shakouri said the answer depends on spectrum decisions. "At this moment, the spectrum we are focusing on is separate, aside from what Qualcomm announced in India," Shakouri said. He also said that a TD-LTE ecosystem is at least two to three years behind WiMAX. Many analysts speculate that TD-LTE will become the crossover technology that will prompt WiMAX operators to flip to LTE. Clearwire was part of a group of operators and vendors that last month asked the 3GPP standards body to begin working on specifications that would enable TD-LTE to be deployed in the 2.6 GHz band, which Clearwire uses for WiMAX. During the CTIA Wireless 2010 trade show last month, Clearwire CEO Bill Morrow reiterated the company's interest in deploying LTE when the technology catches up to WIMAX. He also called for one standard down the road. Another initiative the forum is announcing this week is the launch of its Open Retail Initiative, a global program aimed at driving WiMAX into consumer devices sold directly or through retail channels that can be activated by the consumer over the air on the network. If you remember the evangelism of early WiMAX advocates like Barry West, this capability was supposed to be the Holy Grail of the technology. 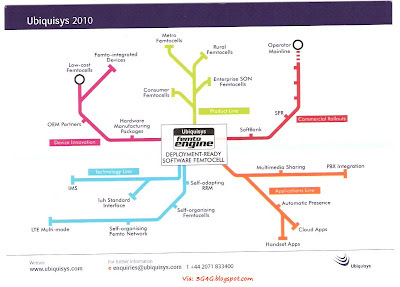 Came across this very interesting Femtocell map from Ubiquisys. The corresponding press release, titled "Ubiquisys Unveils Femto-Engine: the Complete Software Femtocell for Mobile Operators, Alongside an "Engine-Ready" Hardware Programme for OEMs" is available here. Ubiquisys is also celebrating its sub $100 Femtocell. Press release here. 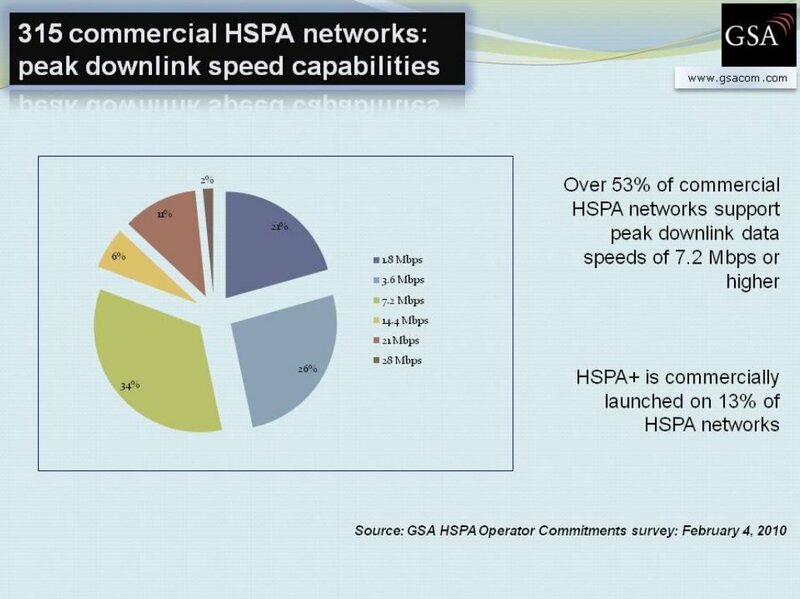 Another GSA report titled "Mobile Broadband Growth - Reports from HSPA Operators Worldwide". As the name suggests, this contains report from different operators on their Mobile Broadband revenues growth. According to a report from AdMob, smartphonedata traffic grew 193% year-over-year in the month of February 2010. Smartphonesaccounted for 48% of its traffic in February 2010, up from 35% the year before. AdMobattributed this primarily to iPhoneand Android traffic. Telia Sonera reported that the strong demand for mobile devices, including mobile broadband and Apple iPhone™, continued. Mobile data traffic in Nordic and Baltic operations increased close to 200% while the number of mobile broadband subscriptions rose by more than 60% during 2009. Semiannual US wireless industry survey was released at CTIA in March 2010 revealing that wireless service revenues totaled $77 billion for the last half of the year. The real growth is coming from wireless data services -mobile Web, text messages, and other non-voice services. In the latter half of last year, revenue for wireless data service totaled > $22 billion, nearly a third of overall wireless services revenue and up 26% YoY. Steve Largent, President and CEO of CTIA, said in a statement. 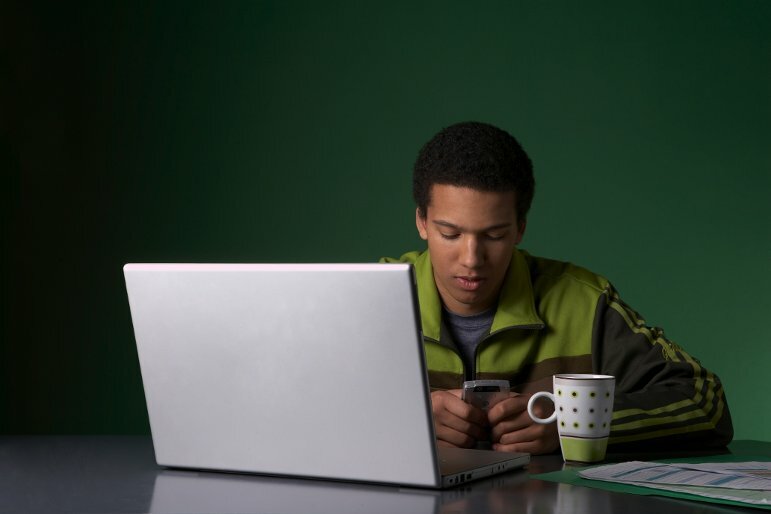 "Mobile broadband will increasingly play a vital role in people’s lives." A new study by Juniper Research has forecast that more than 1 in 10 mobile subs will either have a ticket delivered to their mobile phone or buy a ticket with their phone by 2014, representing a five-fold growth over the next five years. Global mobile Suppliers Association (GSA) published a report on "Evolution to LTE" which is available on their website here to download. The report starts with the need for LTE and emphasises its importance with regards to the Mobile Broadband take off. It goes on to encourage the operators to embrace LTE and lists the operators that have committed to LTE roll out. 64 networks in 31 countries have committed to LTE network rollout. Spectrum is another area of focus of this report. Along with 2.6GHz, 700MHz will probably be used in Americas, New Zealand and India. 800 MHz and 900 MHz will probably be available and used in Europe. Finally with LTE being rolled out, it would be easy to upgrade to LTE-Advanced when the standards are finalised in Release-10.